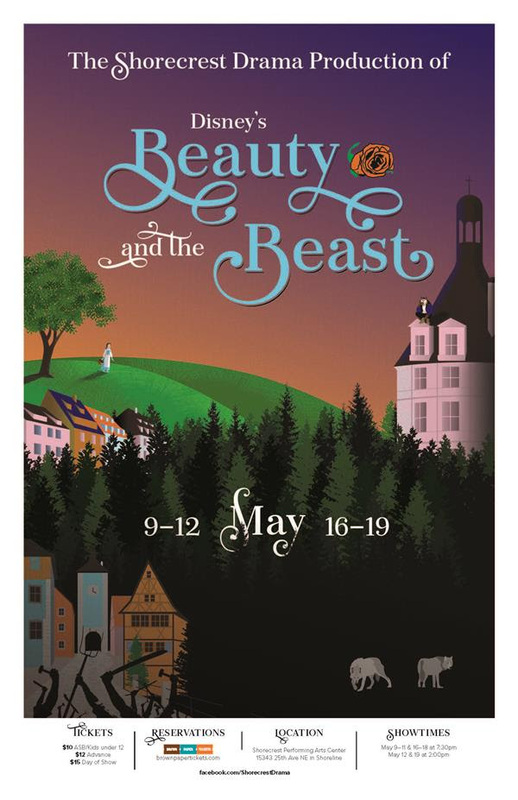 Shorecrest Drama presents “Disney’s Beauty and the Beast” beginning May 9 at the Shorecrest Performing Arts Center, 15343 25th Ave NE. The only way for the Beast to become human once again is if he learns to love and be loved in return. There is a time limit too. Once a magical rose loses all of its petals, all hope will be lost and he will stay a Beast forever. The Beast’s enchanted household -- populated by such beloved characters as Mrs. Potts, Lumiere, Cogsworth, and Chip -- watch anxiously as Belle and the Beast grow to understand and befriend one another. Their feelings grow ever deeper as the clock ticks and petals continue to fall off the enchanted rose -- will they confess their love for one another before it is too late?